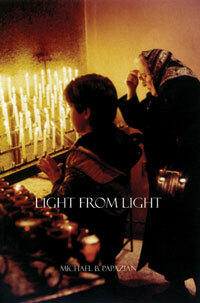 Professor Michael B. Papazian’s Light from Light: An Introduction to the History and Theology of the Armenian Church is a succinct yet meticulous introduction to the Armenian Church. This is not a conventional history book. It is not “a continuous chronology that recounts in general the [Church’s] origin…and…history of its development and organization.” Instead, Dr. Papazian “often pauses in the course of the narrative to investigate the topics and to detail the circumstances of their origin and their consequences” (Foreword, 9). For example, he devotes one third of Chapter Two discussing the details of Judaism’s essential tenets of faith in order to transition into the theological and social issues involved in evangelizing the pagan Armenians. Thus we have here a true primer on the Armenian Church, historically organized but replete with insights into her theology, rituals and practice, saints, and world view. The author’s intent is that “all readers [Armenians and non-Armenians, Christian and non-Christian] will find this book to be a helpful source of knowledge about the Armenian Church” (Introduction, 11). Papazian relies and quotes a variety of sources in his presentation: the Bible; Armenian texts, liturgical hymns (sharagans), prayers, encyclicals; early histories such as Movses Khorenatsi’s History of the Armenians; non-Christian sources such as the Jewish theologian Maimonides; and present-day scholars such as Stanley Harakas, Nina Garsoïan, and His Holiness Catholicos Karekin I. Very few scholarly stones are left unturned; all the information Papazian needs to construct for the reader a thoroughly detailed, explicative chronicle is utilized. Nine chapters of the book chronicle and detail the timeline of the Church’s history, which Papazian organizes into eight essential epochs. The tenth chapter is devoted to discussing the sacramental life of the Armenian Church, highlighting their unique features compared with other traditions. The book concludes with three appendices, the first of which could easily be considered as an eleventh chapter. It meticulously enumerates the various communions of the entire Christian Church (Oriental Orthodox, Eastern Orthodox, Roman Catholic, etc.). Appendix B lists all of the sources consulted, helpful for those who would like to study a topic for deeply. Appendix C is the Lexicon, a list of significant terms mentioned in the book with concise definitions. An example of the author’s approach may be illustrated in Chapter Six, which chronicles the history of the Armenian Church from the 5th to the 11th centuries. Here Dr. Papazian discusses the Iconoclast movement in the Byzantine Church of the 7th and 8th centuries. Pausing to compare and contrast the Armenian, Greek, and Roman Catholic Churches’ respective positions on icon veneration, the author discovers “a difference of culture rather than theology” (106). Though not questioned by Roman Catholics, icons are not as important to piety as in Eastern Orthodox churches, which often contain an icon-covered screen (iconostasis) before the sanctuary. Although the Armenian Church fathers have never challenged the legitimacy of icon veneration,“art historian Sirarpie Der Nersessian has remarked that the illuminated Gospel book…takes the place that the icon holds in the other Eastern Churches” (Papazian 106). This is why in many Armenian churches one can observe, before and after the Divine Liturgy (Soorp Badarak), a pristine copy of the Gospels placed at the center of the altar as though enthroned. Regarding the history of the church, particularly the topic of early Christian evangelization, one learns that in order to make Christianity palatable to the pre-Christian high classes, St. Gregory the Enlightener conformed a particular pagan Armenian practice to the faith. “As we have seen, the pagan priesthood in Armenia was hereditary. Gregory adopted the pagan custom perhaps as a temporary measure to gain greater acceptance and respect for the new Christian priesthood among the people” (49-50). Several of the first catholicoi were, in fact, direct descendants of St. Gregory himself: his two sons Aristakes and Vrtanes; St. Nerses the Great, Gregory’s great-great-grandson, whom Papazian refers to as Armenia’s “‘second Illuminator’” (60), the “‘Illuminator of the heart’” (65). Like many Christian traditions, here is an example of a pre-Christian form that was adopted to facilitate the evangelization of the people. Of particular interest was another facet of the Armenian Church’s worldview which Papazian emphasizes: ecumenism. Papazian cites several historical episodes where the Armenian Church leadership engaged with other churches for the purpose of healing the wounds wrought against the Universal Church over the course of history. For example, Byzantine Emperor Manuel I Comnenus approached Catholicos St. Nerses the Graceful (Shnorhali) in the twelfth century about reunification of the Greek and Armenian churches. The defense that St. Nerses wrote on the Armenian Church’s Christological position gained the admiration of the Emperor and the Byzantine patriarch. It was presented at the Armenian Synod of Hromkla, which Nerses’ successor, Gregory IV “The Young (Tgha)” convened in 1179. When Manuel died in 1180, the synod did not bear fruit because his successors had little interest in ecumenical dialogue. Despite its failure, this episode is indicative of the Armenian Church’s ecumenical worldview at a volatile period in Christian history, an rare attitude magnanimity and unity. Such an outlook was adopted by St. Nerses Shnorhali’s great-nephew St. Nerses of Lambron, who said, “I am united by tradition to whoever bears the name of Christ as a crown of glory….For us, there is no Paul or Apollos, Haik or Romulus” (136). In essence, this book is a miniature library that engages the reader personally and carries the audience on a sojourn through time to discover and unfold the history and ways of the Armenian Church. To the novice and scholar alike, Light from Light is essential reading. Suitable for all readers, it opens a floodgate of enlightenment on the Armenian Church, its history and its contributions to the ministry of Christ on earth. Michael B. Papazian, Light from Light: An Introduction to the History and Theology of the Armenian Church. New York: New York SIS Publications / Armenian Apostolic Church of America, 2006. 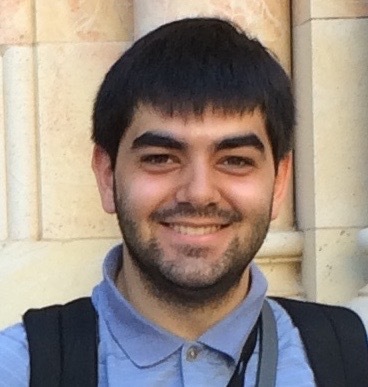 Andrew Kayaian is a senior at Fordham University in New York majoring in History and Theology. He has worked as an intern for the Zohrab Center for two years and has contributed previously to the ZIC website.